Moderator note: Every Featurer starts with a list of points to get the writing juices flowing for a FF (Friday Feature) post. These points are in bold below. 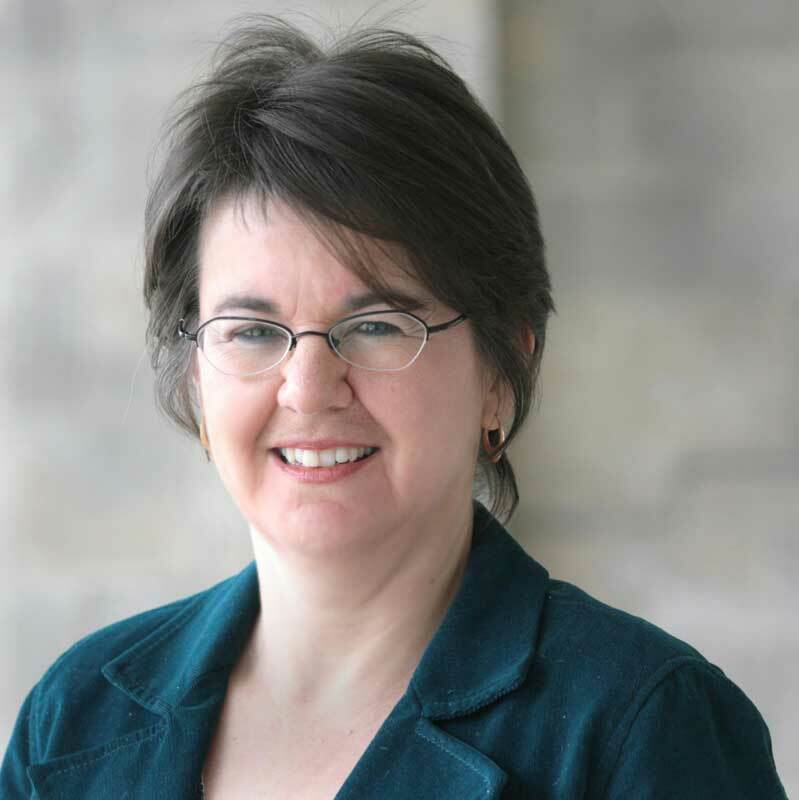 About me: I’m a journalist for my local newspaper, a part-time graduate student currently writing an MA thesis, and I’m also a quilt maker who writes with fabric. 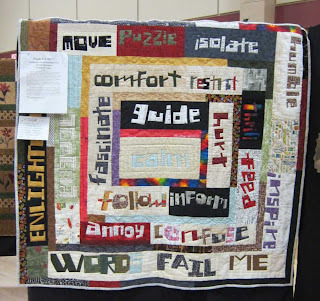 I’ve made nearly a dozen word quilts, using the free-pieced techniques developed by Tonya Ricucci in Word Play Quilts. 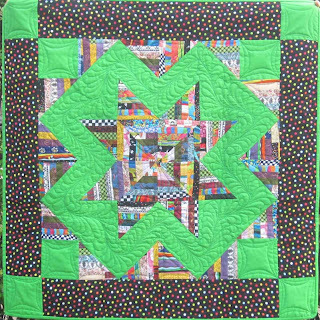 I also make art quilts, bed quilts, baby quilts, and wall quilts, mostly from scraps. I started blogging four years ago after joining some group blogs, and now I’m part of a dozen different blogs, some more active than others. About my quilting: I’m a scrap quilter partially because of where I live. 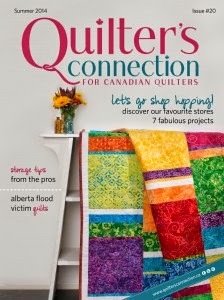 In Winnipeg, we have a couple of small quilt shops, and several discount fabric stores. I love shopping the sale bins, but I also get a thrill when someone hands me a bag of scraps. 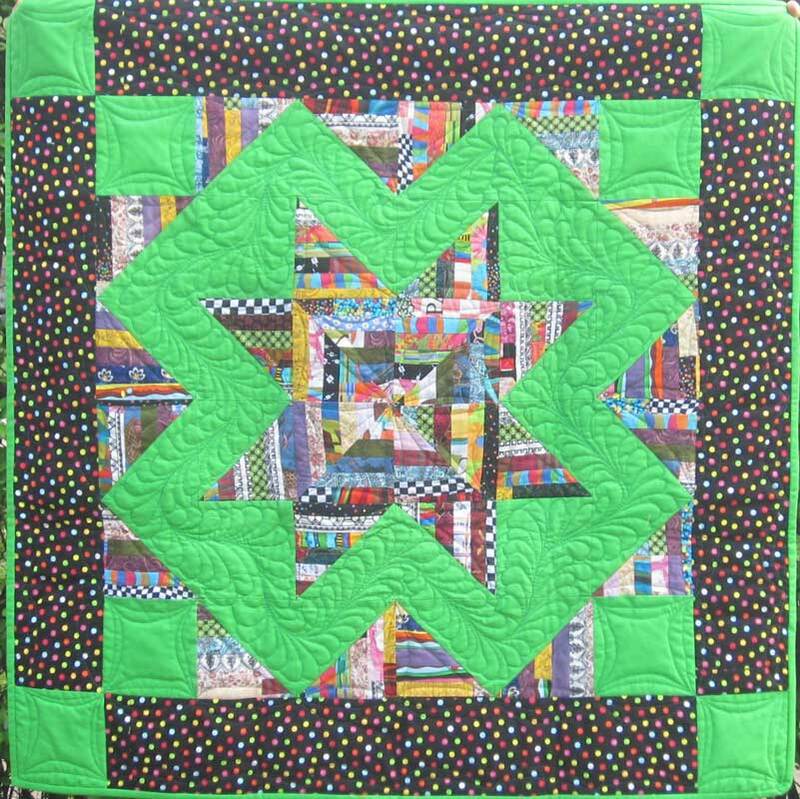 For years, I’ve been playing with scraps from my mother, from friends, and selvages mailed to me by quilters I’ve met online. 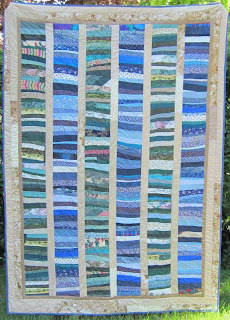 Highlights of the past year: More recently, I’ve been making quilts for Alzheimer Art Quilts Initiative (www.alzquilts.org) and this past year, one of my little quilts made from teeny triangles sent to me by a blogging friend was purchased by an Alzheimer’s researcher, who received a grant from AAQI. 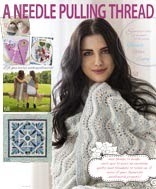 After 25 years of having my words published, I’m about to have my first quilt published in a friend’s book to be released later this year. In the past year, I’ve worked to improve my free motion quilting skills and I’m proud of the fact that I can do feathers. I used to be exclusively a hand quilter, but I bought a new sewing machine 18 months ago that sews like the wind and does well with free motion quilting. What’s next? 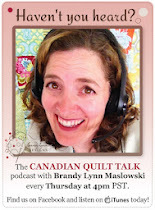 I’m plotting out ways to push the boundaries of writing on quilts, writing with quilts, and practicing the craft of slow writing with fabric. Since I have to write quickly and to deadline for my professional life, it’s a huge contrast to deliberately make the components of each letter with another piece of fabric, then piece the letters together to make a word, and put the words together to make a sentence. I’m also planning to use more found fabric, like old linen calendar towels, to make quilts. Just this week I received a bag containing a friend’s silk bridesmaid dress she no longer wanted to wear, and a beautiful green sari embossed with silk. 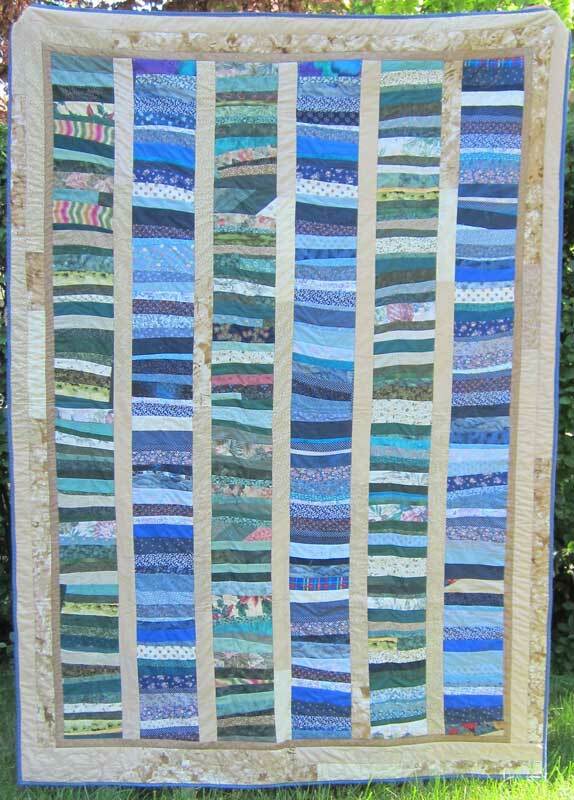 I’m thinking of cutting up the sari and sending it to some blogging friends and together we can incorporate them into our quilts. What have you always dreamed of doing? 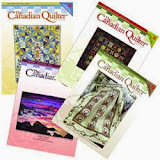 Since I’m a writer and a quilter, the obvious answer would be to write a quilting book, but that dream will have to stay on the back burner until I finish my thesis (on an entirely non-fabric topic) this year. At this stage in my life, I can only handle one big writing project at a time. I’m also keen about introducing non-sewers to the joys of working with needle and thread. I loved sewing with the elementary school students, and I’d like to get back to teaching them to sew and quilt. 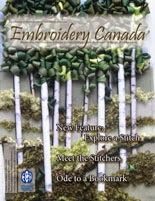 Come visit me over at http://scrapsandstrings.blogspot.com and if you’re ever in Winnipeg, let me know and I’ll show you some great places to shop.